Considering he's an Olympic champion, Michael Phelps has an impressive résumé. But recently, he added a new title to the list and it has nothing to do with swimming. In the beginning of May, the 30-year-old became a father. On Instagram, Phelps shared photos with his 1-month-old son Boomer, and I must say, the baby is mighty cute. If such a category existed, the kid would get a gold medal in being adorable. These are such heartwarming family moments, especially since Phelps is currently training for the 2016 Rio de Janeiro Olympics. In the photos, Phelps poses with his son and fiancée, Nicole Johnson. The pair announced their engagement in January 2015. From the looks of it, they're one content little family. They're just lounging around and enjoying their time together. I'd have to guess that it's tough for Phelps to go train when it means spending less time with his loved ones. Then again, he's setting a great example for his kid in the process — to chase after your dreams. He's coming out of his retirement for Rio, so it says a lot about his passion for the sport. It's too early to tell whether baby Boomer will inherit his father's dolphin-like swimming abilities, but he's already mastered the art of waving. That's probably the first step in doing the doggy paddle, right? Just look at his adorable pose in the photo below. And here's the whole fam, resting up. What a sweet photo. 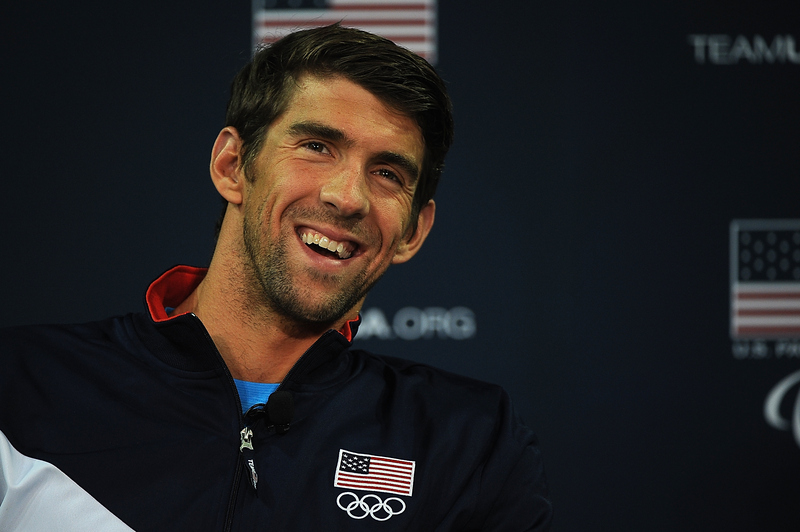 When it comes to the Olympic games, I think Phelps will have the best motivation to succeed. Could you picture his kid all decked out in red, white, and blue and rooting for his dad from the stands? Or even if Boomer watches the big event from home, he's the best possible (and most adorable) good luck charm.